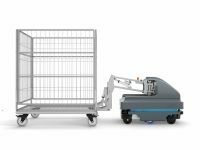 Mobile Industrial Robots is a leading manufacturer of collaborative mobile robots. They are dedicated to developing user-friendly, flexible and safe robots to help companies increase the efficiency of their operations. 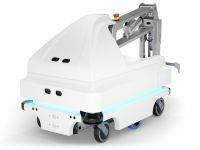 These autonomous robots are a new generation of advanced mobile robots which give you a rapid return on investment, often with a payback period of less than a year. 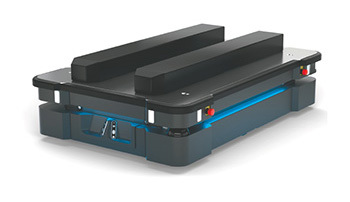 The MiRHook™ robot identifies carts by QR markers and autonomously transports them as you define. MiRHook can be incorporated into a fleet of MiR robots, and can be easily redeployed to meet changing requirements. 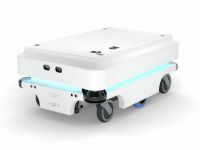 Updating the robot’s mission at any time is simple, using a smartphone, tablet or computer and standard Wi-Fi or Bluetooth communications to access the robot’s intuitive controls. With the MiRHook™ 200, you simply measure your cart and feed the data into the software. 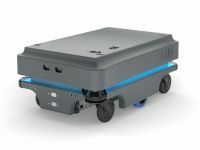 Built-in sensors, cameras and sophisticated software mean the robot with the MiRHook™ 200 and a cart can safely maneuver around people and obstacles, and can even drive up ramps. MiR500™ is an extremely robust robot designed perfectly industrial environments. for both heavy and light transport that can optimize logistics throughout the entire production chain, from the warehouse to the delivery of goods. 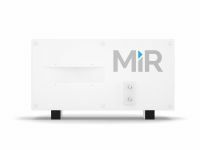 Your MiR robot will never run out of power in the middle of a job. 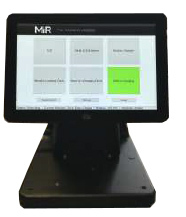 MiRCharge™ is a fully automatic charging station that offers flexible deployment options to meet your needs. 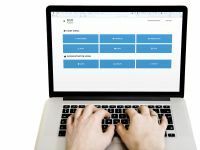 The Operator Interface is a solution to provide a remote call station to any MiR application. With the Operator Interface, the robot can be called to an operator location and subsequently sent to another location. An Operator Interface also provides general MiR status information as well as battery level, current mission and network status. R.R.Floody Company is a MiR Mobile Industrial Robots distributor in Northern Illinois, Iowa and Southern Wisconsin. We offer technical support to help our customers solve their applications.